Welcome to the land of Archaeological Richness. 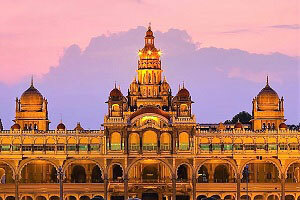 Karnataka, it is simply, a state with many worlds because, one can find all kinds of themes here a traveller looks for! 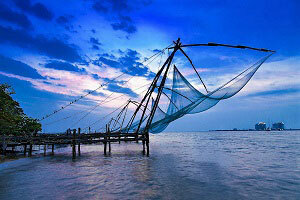 The sophisticated state is famous for its cultural heritage, picturesque landscapes and traditional craftsmanship. 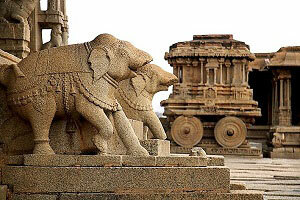 Culturally diverse and historic, Karnataka holds a prestigious position on the tourists list. To add to it, Karnataka is a thriving hub of adventure and water sports activities. 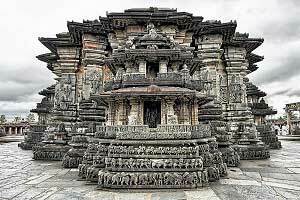 Karnataka Tour Packages includes the places from UNESCO’s heritage monuments in Hampi, Badami, Aihole and Pattadakal to Bandipur and Nagarhole National Parks, you can adore her beauty. It is the state with most number of Jain community presence like Shravanabelagola, Moodabidri, Venoor, Karkala etc. To the North, the state has its verdict towards Mughal dynasty monuments in Bijapur, Bidar, Belgaum, Gulbarga etc. The historic Konkan coast shares her contribution to the natural attraction of the state with the UNESCO’s Western Ghats on one side and mesmerizing beach towns like Karwar, Gokarna, Murudeshwar, Udupi to Mangalore. Volumes have already been written about the Konkan coastline and the stunning, undulating and breathtaking scenic beauty it offers to travellers all along the way. South India Tours and Travels offers you an exclusive tour packages with tailor made itineraries, comfortable stay and safe journey with professional chauffeurs to experience this blessed country which draws the attention of the tourists who look up for a perfect holiday vacation in India.